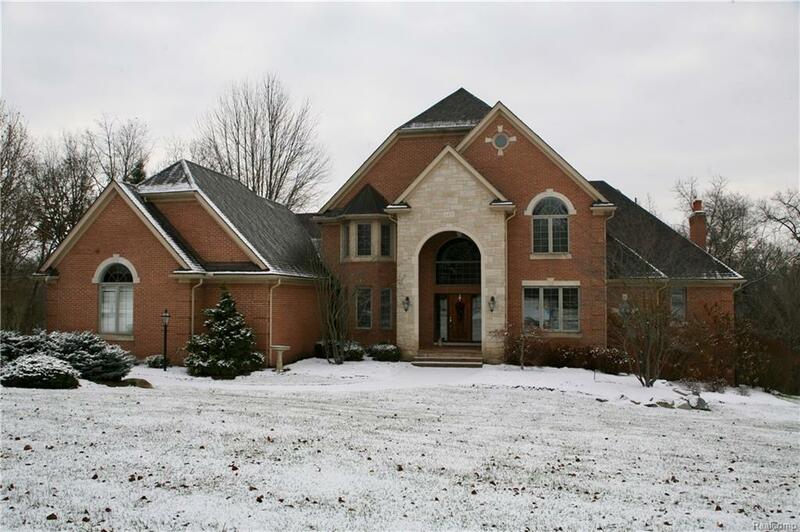 Beautiful custom 4 bedroom home located in Oakland Township! This home is located on over an acre of land. The elegant great room features vaulted ceilings and a fireplace that connects to the kitchen as well. First floor master suite with fireplace, large bath, walk-in closet. Three additional bedrooms upstairs, including an in-law suite. The natural lighting throughout showcases the beautiful landscaping around the home. Finished basement with a walkout and an additional bathroom, den, and fireplace! Oversized three car garage. Many updates including two newer furnaces (February 2013), newer roof (50 year shingles installed August 2014), two newer air conditioners (installed December 2015), water softener (installed September 2010), new sump pump (May 2017), and newer kitchen sink instant hot water tap (installed June 2016). The backyard is a private oasis with beautiful trees and foliage. The large deck and patio are perfect for entertaining! Come see this home today!